, leading the decision to bring an agency on board. "DDB was selected on the strength of a standout response to our brief, including its ability to capture the essence of the Virgin Australia brand and demonstrating they will be a strong partner ready to hit the ground running," Kingsmill says. "The overall calibre of ideas and thinking presented during the process was world-class and we’d like to thank the other agencies involved for their time and creativity." DDB Sydney MD Nicole Taylor says the agency looks forward to a successful relationship with Innes and the Virgin Australia busines. “We had a very inspiring brief from Virgin Australia and are excited to have created a famous idea that is emotionally charged and capable of impacting the full Virgin Australia experience, not just the advertising. It’s the right idea for the right time for Virgin Australia," she says. Clemenger Sydney was working on the account up until last year when the airline began taking its creative in-house in an attempt to cut agency budgets. Clemenger was knocked out of the pitch in May. Michael Dole has been heading up the internal creative team. It's understood Doyle will finish up his contact at the end of the month, AdNews understands. The agency roster for the airline previously included Clemenger BBDO Sydney, Hulsbosch, Carat and Design Team. Carat is Virgin Australia's media agency of record and while rumours swirled about a possible media review, this is not thought to be in action and remains firmly with Carat. 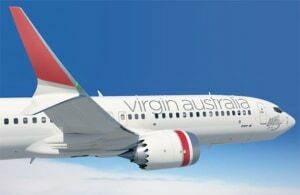 DDB Sydney has won the Virgin Australia creative account, following a competitive pitch, AdNews can reveal. The pitch was down to four agencies in May, including M&C Saatchi, Clemenger Sydney and TBWA. 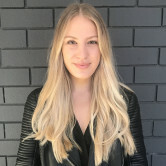 The account has been tipped to land with DDB Sydney as Virgin marketer Inese Kingsmill previously worked with the agency during her time at Telstra. Kingsmill joined Virgin at the end of last year, leading the decision to bring an agency on board.